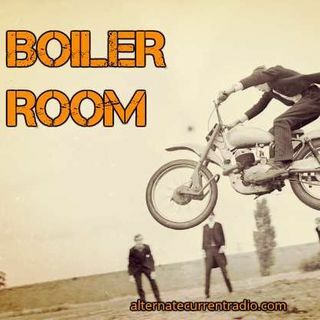 Join ACR hosts Hesher and Spore along with Stewart Howe, Infidel Pharaoh, FunkS0ul and Randy J for the 97th episode of BOILER ROOM. Water the kids, put the plants to bed and get your favorite mead horn ready so you can drop deep into the Boiler Room with the crew. Tonight the gang is discussing the latest on Trump, immigration, cultural warfare, media psyops, virtual reality, trans humanism, Bundy Ranch trial, the nature of Islam and a myriad of news and main stream media shenanigans that have ... See More taken place since the last meeting of the ACR brain-trust know as THE BOILER ROOM. The hosts of the show did not disagree with or belittle the veteran. They just shared their opinions on what was said. I listen to your podcas regular. In this one you discussed a viral post of a contractor in regards to his statement that if an American were to end up on the streets of Iraq he would be killed pretty quickly. The hosts of the show disagreed and belittled the veteran. I would like to come in defense of the contractor and say that he is absolutely right and the hosts are wrong. I was in Iraq in 2006 - 2008 as part of 82nd Airborne. Everyone knew that if you were stranded by yourself in Iraq you would not last an hour and end up on a beheading video.